The Sponeta Activeline Outdoor Table Tennis Table is a static, weatherproof table with a metal net. This table’s designed for playgrounds, parks and other multi-user environments. It has a 10mm table top which gives an excellent level of play and weighs over 110kg. 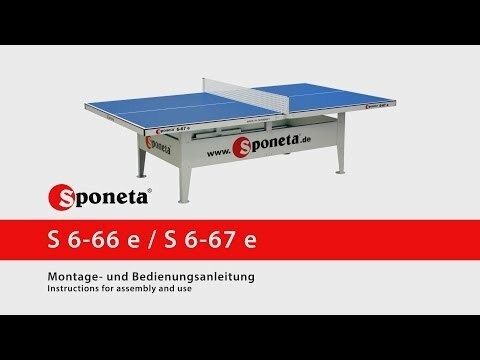 Sponeta Activeline Outdoor table tennis table Assembly Video.